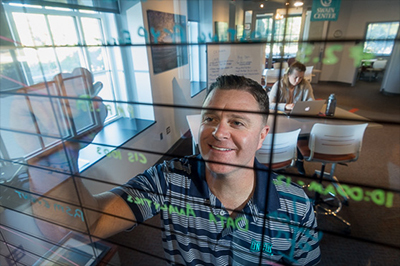 Although Matt Mylott ’07, ’18M is a native Californian, he’s very much at home on the East Coast. All it takes is a stroll down Chancellor’s Walk to remind him of what he loves most about life here. NEW: Encourage Graduating Seniors to Meet the "Chancellor's Challenge"
WCE's Kevin McClure and Ed.D. Candidates Leah Frierson, Adam Hall and Kara Ostlund Publish in the Journal "Philanthropy and Education"
Submit items for the next SWOOP by noon on Friday. 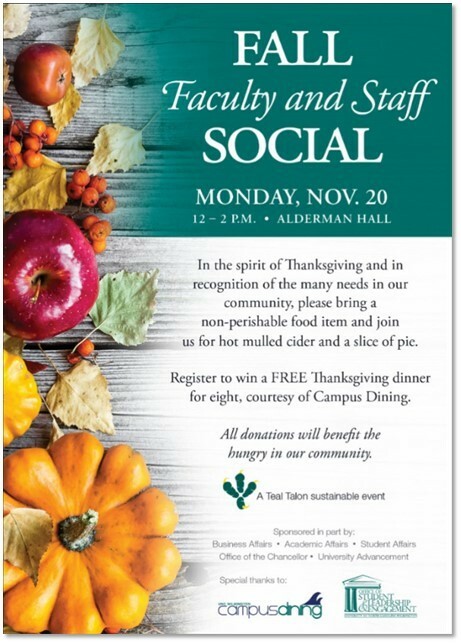 No SWOOP on Nov. 21. 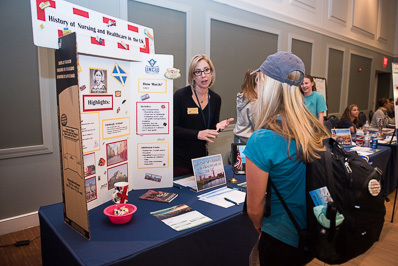 School of Nursing associate professor April Matthias discusses one of UNCW's study abroad programs during the 2017 Study Abroad Fair held on Nov. 1.